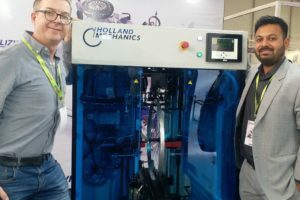 DOETINCHEM, the Netherlands – With the e-bike anti-dumping case now finalized it’s clear that production will shift from China to other countries including to Europe. It would involve the production relocation of a big part of the 750,000 electric bicycles that were imported into the EU from China in 2018. 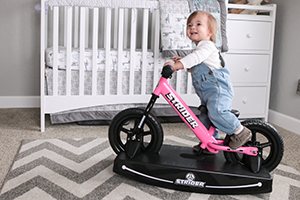 As a substantial part of that volume is to be made in Europe, it would put pressure on sourcing components like frames in Europe. At a visit to Taipei Cycle last November as well as to Vietnam in December Bike Europe surveyed developments in steel as well as alloy frame fabrication. Only a few years ago the (re-)start of (alloy) frame production has become a topic in the European bicycle industry. Investing in and setting-up frame production here is seen as a major move towards adding flexibility to the industry’s supply chain. 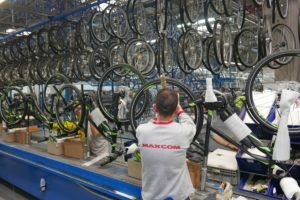 The last week imposed anti-dumping measures for e-bikes imported from China contributes greatly to the importance of expanding frame production in Europe. The most well-known aluminium frame production project in the industry is Triangles in Portugal which is up and running now since late 2017. The Agueda, Portugal based companies Rodi, Miranda, and Ciclo-Fapril invested over € 15 million in the frame facility, which has an annual production capacity of about 450,000 aluminium frames. According to frame specialists to who Bike Europe talked to at last November’s Taipei Cycle Show, such investments by industrialist families are decisive for the success of Bike Valley Portugal. They do not see such private investments quickly arriving in Romania or Bulgaria and with that for the creation of Bike Valley’s there. More frame production is already based in Portugal or is coming. For instance, in Gaia at the RTE facility. With an annual capacity of 300,000 steel frames, RTE is exclusively manufacturing them for bicycles they assemble for Decathlon. There’s talk of another steel frame facility to be opened in Portugal soon. And one in Italy which is under construction now. It will get a capacity of one million frames & forks annually. So, current initiatives on expanding frame making in Europe are predominantly targeted to steel. 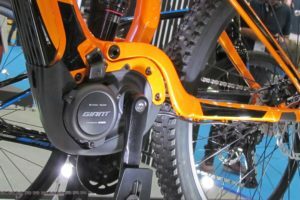 For more alloy frames to be used in e-bikes; there was talk in 2017 on Turkish Korel Elektronik Sanayi ve Ticaret AS to step into large-scale robotized alloy frame making. Since then it stayed silent. Another initiative Bike Europe reported on earlier was to come from Astro. This renowned manufacturer of alloy frames for e-bikes as well as e-MTBs was developing plans to start a facility in Europe. 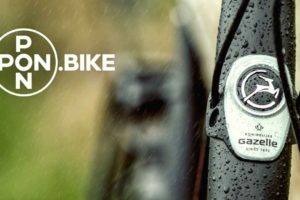 However, at a last December visit to the company’s new facility in Vietnam Bike Europe was told that these plans are still there but put on hold. And for now, until when production robotization could be raised to a much higher level than currently applied at for instance Triangles.